Summoners War is a great free-to-play game from Com2uS. With excellent looks, depth, and community of players, (and mediocre audio) it’s really easy to get drawn into this game, and then to keep playing for a while without getting bored. The basic gist of the game (without delving into the not-so-pertinent storyline) is that you get to summon monsters, then level them up and eventually evolve them through various types of battles. There are so many details to this game that would not be practical to discuss in this review, so I’ll just try to hit upon all the main points of this complex game. 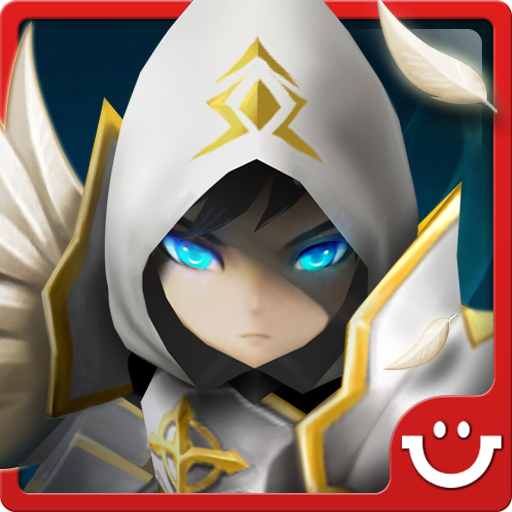 However, if you start to play it, and I recommend you do, there is a tutorial that will provide you with the absolute basics, but to figure out all the strategy and nuances of Summoners War, well, that will take lots of practice. Using one of the many ways to summon monsters, you’ll get a randomly chosen one. The number of stars (which roughly correlates to “how good” the monster is) will depend on the method of summoning in use. Needless to say, the rarer, more expensive methods yield higher star monsters. But monsters can be leveled up through use, and when they reach their maximum, you can essentially burn other monsters of the same star number to evolve the monster into the next star. Monsters also can be awakened. This is a process that greatly increases their stats and perhaps also gives them new attacks or other bonuses. It is very hard to awaken monsters because each one requires a unique cocktail of materials that can only be collected one-by-one through defeating various bosses. Summoners War contains several types of in-game currencies. They’re all rather useful for different things, but crystals, which are the hardest to accumulate (almost too hard…) certainly allow you to purchase the best things. What to buy? You can get buildings to add to your little world, decorations, and things that serve great purposes such as a building that will automatically level up your monsters if you leave them in there for a while. With so many types of currencies earned so many different ways, there’s not a humungous need to spend real cash, but as you advance into the game, it may be necessary to keep up with the best of the best. Although, if you don’t want to (like me, and millions of other players), there’s certainly a lot you can do to avoid it, but it may turn out that at this point in the game you will have gained a large enough affinity for it that spending cash might not be a bad alternative to expedite some processes. In terms of battles to play, there’s a ton. There are all sorts of dungeons with bosses that will give you awakening materials and currencies when you defeat them; there’s the main story that has so many levels in and of itself; there is the “arena” that allows you to battle other players; you can even join a guild of players and battle as a team. They’re still adding more to the game, which brings me to my next and last point: Summoners War is run really well. In addition to tons of free giveaways that they host, there are always sales for those who wish to spend money, and events that incentivize a certain activity for huge rewards. For example, right when I started playing the game, there was an event that gave out really good rewards for progressing through the game and getting to a higher level. The culmination was reaching level 15, which allowed me to get tons of free stuff just for playing like I would have anyway. It’s always worth keeping an eye on the events. I know there’s a lot I’m leaving out, or some things that were phrased a bit equivocally, but in the interest of boiling down the complexities of Summoners War to the basics (and not writing a novel), I’ve cut some details. To conclude, there are a few minor complaints I have of Summoners War. As you get deeper into the game, it gets really hard to get good monsters. It’s something that could be changed with a few keystrokes by the developer. The odds of summoning great monsters are just way too low. It’s also pretty hard to get a lot of crystals, but not impossible. This makes it tempting to spend money, something that I’ve decided from the onset not to do. Lastly, awakening takes forever. I mean, if you get one of the building blocks you need approximately every few times playing a certain boss and you need 20 of them to awaken your monster in addition to 20 of three other building blocks, it takes a ridiculously long time to accumulate those materials. But, these are relatively minor details that only manifest themselves as you play longer, which means you’ve already gotten the hang of how time-consuming this game is. But that’s also a good thing. There’s an endless number of things to do, people to battle, and a very sizable community of players. Summoners War is a great game, and it’s still getting even better. 9/10!